His professional writing career began as a ghost writer for, “Inside Elvis,” one of the prominent “Elvis” books. In December of 1980 he wrote a short story called “Little Boy Lost,” it was a Christmas present for his children. “It was an intensely moving experience,” he recalls. “The characters came alive as I put them on paper. In subsequent years it became a family tradition for Mills to present a new short story each Christmas Eve. In 1992 a collection of those short stories was published by Quilted Bear Publishing. The collection became an instant success. 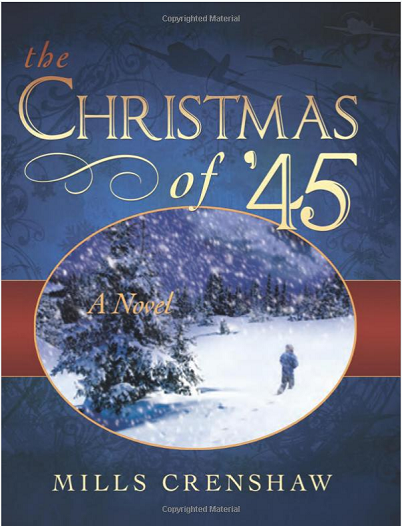 The Christmas of ‘45” is the Novel that grew out of a classic short story. The characters are rich and diverse. The story is timeless and moving. It will touch your heart and remind you what christmas ment, not that many years ago. Save on shipping and handling by picking the book up at the KTALK Studio. 10348 South Redwood Road in South Jordan. Please bring a copy of your purchase receipt with you. Shipping and Handling for a single book is $4.75, and $18.00 for 6 books.